Nagano, Japan – This past weekend was deadly in the Japanese Alps, with four skiers dying in two separate avalanches after more than a meter of new snow was reported in some areas accompanied by strong winds. Two Argentinean men, ages 50 and 54, died when they were swept away by a 30 meter-wide, 200 meter-long avalanche on Sunday at Ryuoo Ski Park in Nagano prefecture, 400 km northwest of Tokyo, police indicate. Their companions, a man from New Zealand and a couple from Australia, survived. 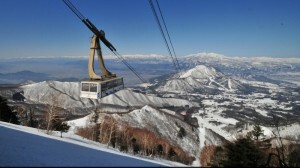 Two other slides were reported over the weekend in Niigata prefecture, north of Nagano. A 48-year-old Japanese man died when he was struck by an avalanche while snowboarding on a marked in-bounds ski run, while another 35-year-old Japanese man was found dead after snowboarding out of bounds near a ski resort in Niigata. Elsewhere, three skiers were successfully rescued after they were caught by an avalanche in eh backcountry near Niseko, while authorities were searching for three other Japanese citizens who went missing while ski mountaineering near Hakuba. With the latter three still missing, hopes for their survival have grown slim.